Does stress make you fat? Weight gain for anxiety: What science says about it? There are many factors beyond a positive energy balance that can cause an increase in weight, and among them is stress and anxiety. We tell you what the science says about weight gain due to stress and anxiety. The stress is the evil of the XXI century and occurs in the presence of a stress or, ie a challenge or demand generated in us a feeling of tension both physically and emotionally. A bit of stress can always be positive to help us be alert, to resolve situations in a time limit or similar, however, if stress is not only acute and has an end, but it extends over time, it can manifest itself with different signs that hinder health. The anxiety for his part, is the manifestation of stress even when the stressor has disappeared. Some of the symptoms of anxiety are for example constant worry, fear, insecurity, difficulty to decide, tremors, nausea, dizziness, palpitations and even, the consequences of an excessive intake for example. Among the main causes of stress and anxiety are the combination of a personality vulnerable to this type of suffering in addition to work or academic issues that become stressors. For example: harassment, mistreatment, lack of acceptance, inadequate or excessive demands, absence of clear roles, among others. Other causes of stress and anxiety are biological situations and personal problems such as marital problems, sick relatives, the death of a loved one, economic problems, among others. Why are there people who get fat because of stress? 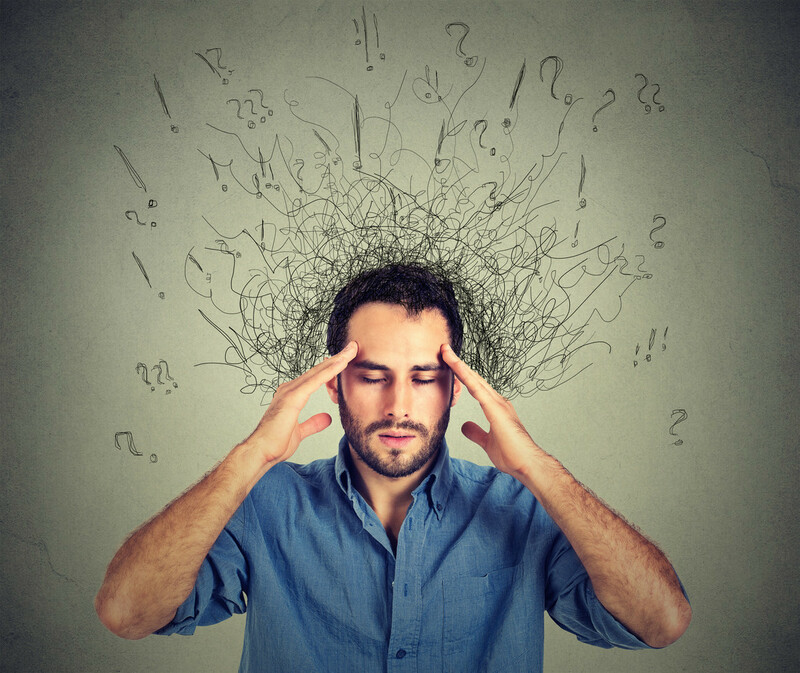 The manifestations of stress cover different aspects of our body, among other things altering life habits and encouraging behaviors that affect our health . Given that stress and anxiety generate a general malaise in our bodies and that more caloric foods such as those that concentrate sugar are the ones that provide pleasure, as a study published a couple of years ago has shown , our body will tend to consume it if He is stressed. That added to the fact that stress promotes an excessive intake of food by making them more palatable and less satiating, as American scientists point out, completely alters our diet, damaging both its quality and quantity. On the other hand, among the symptoms of stress is insufficient or poor quality sleep , often even insomnia, which also alters hormones that can reduce the feeling of fullness and increase the desire to consume caloric foods and therefore, we leads to a diet that promotes weight gain. On the other hand, a research published in Biological Psychology indicates that stress promotes changes in the entire internal environment of our body, being able to reduce leptin levels that regulate energy expenditure promoting satiety and caloric expenditure, as well as, encouraging the release of inflammatory factors that may, among other things, favor the accumulation of fat in the body and obesity . In fact, the Whitehall study has proven that people with higher levels of stress are more likely to suffer from obesity, with fat accumulation in the middle of the body, which is precisely the most harmful . We already see that in different ways, directly or indirectly, stress and anxiety lead to a modification of habits as well as internal changes that promote weight gain . Organize yourself and establish priorities : it is common to be surrounded by obligations and activities to be carried out, but in order not to be overwhelmed by so many tasks to be fulfilled, the first thing is to establish priorities to be carried out according to their importance and not to pressure us with unnecessary activities or of little relevance. Likewise, establishing dates and times, checking what has been done and marking what is pending can “relieve” our head of so many concerns. Take a healthy diet : if you want to control stress levels, a good diet full of antioxidants and foods that promote the release of serotonin can help. On the other hand, a diet rich in fats or in which junk food is the protagonist can add more stress to your days. Exercise regularly : in the midst of many obligations the first thing we usually do is reduce physical activity. However, this aggravates stress instead of helping us to reduce it, since exercise contributes in different ways to diminish its presence and some activities are more helpful than others. Avoid snuff and other drugs : although it is one of the most used strategies in case of anxiety and multiple stresses, it is shown that the cigarette does not relieve stress but aggravates it , therefore, better not go to toxic substances but on the contrary , take them away from our life. Take out your emotions : the emotional burden can be one of the main causes of stress, therefore, an extensive conversation with friends or family, as well as a psychotherapy session can always be helpful to release emotions and feelings that are causing stress. Learn to say NO : denying commitments is something that should be seen with good eyes, since it is part of the organization and management of responsibilities. Also, we can delegate in addition to deny to relieve our burden and reduce stress. Perform relaxing activities : take a few minutes to read something we like, listen to music or just look at the sky can be very helpful to reduce tensions and relieve stress. Rest as best as possible : having applied any of the above tips, we can try to rest as best as possible to recover energy and reduce the stress that can be harmful to our health. Although many times we underestimate their influence, stress can make us fatterthan we think, by altering both hormonal regulation and emotions and behaviors or lifestyle habits, therefore, if you want to achieve a healthy weight and body, stay away from the Chronic stress and anxiety is a priority.